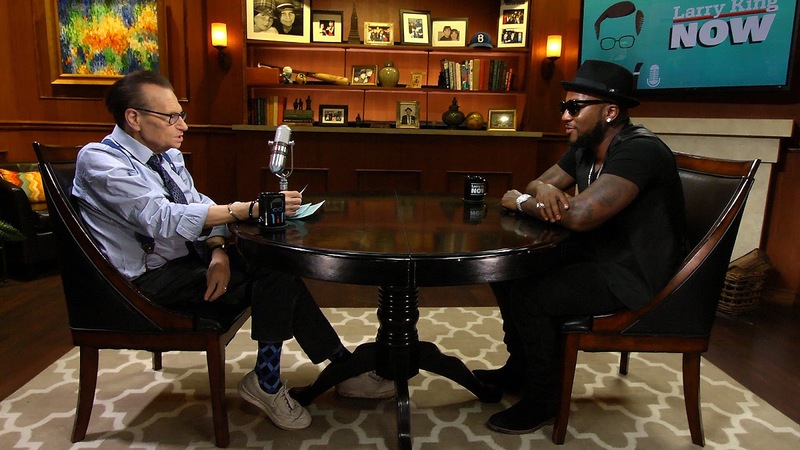 Grammy nominated rapper and entrepreneur Jeezy sits down with Larry King on the Emmy-nominated series, “Larry King Now” for an in-depth and wide-ranging interview about his new album ‘Trap or Die 3’, homophobia in hip-hop, and the recent spate of Black men killed by police. Plus, he opens up about his own run-ins with the law, Obama’s presidency and the controversy surrounding Black Lives Matter. Since hip-hop is sometimes known for it’s misogynist and homophobic comments, Jeezy discusses whether a gay rapper could make it in the industry. After acknowledging that there are a lack of gay rappers, he talks about the possible reasons, saying, “I guess culture-wise it just doesn’t match with it, what hip-hop represents. You know, hip-hop is about being tough and just really being dominant and just being individual with it.” But, he points to the recent success of openly gay rapper Young M.A. as a potential sign of progress.